As the world’s largest organization focused on air traveler rights, you can bet we follow developments in air passenger regulations across the world very closely. 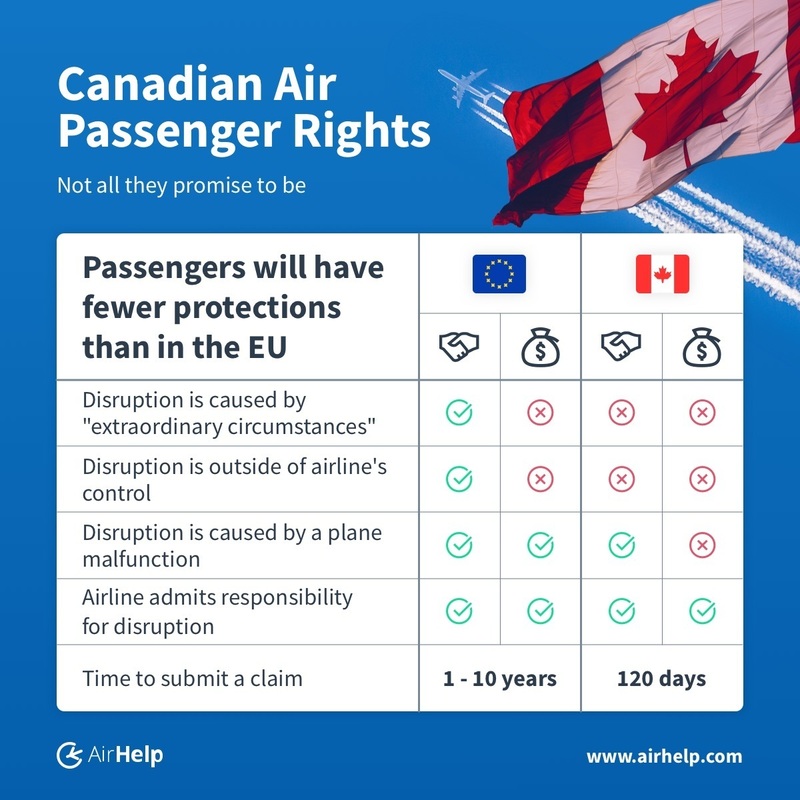 Last year we were thrilled to see Canada take steps to introduce standardized regulations, especially since they promised to provide clearer and more consistent air passenger rights. We made our recommendations to the Canadian Transportation Agency, and encouraged Canadians to do the same in the public consultation period last summer. When the new proposals were published on 22nd December 2018 we immediately asked our legal experts to take a look at them. What’s clear is that while these regulations have good intentions, they’re not everything the promised to be. In fact, they could introduce a dangerous safety flaw. Bizarrely the new regulations benefit airlines who find a mechanical fault at the last minute, as opposed to during scheduled maintenance. We’re very concerned that we could see aircraft discovering mechanical issues later than they would normally because of this. 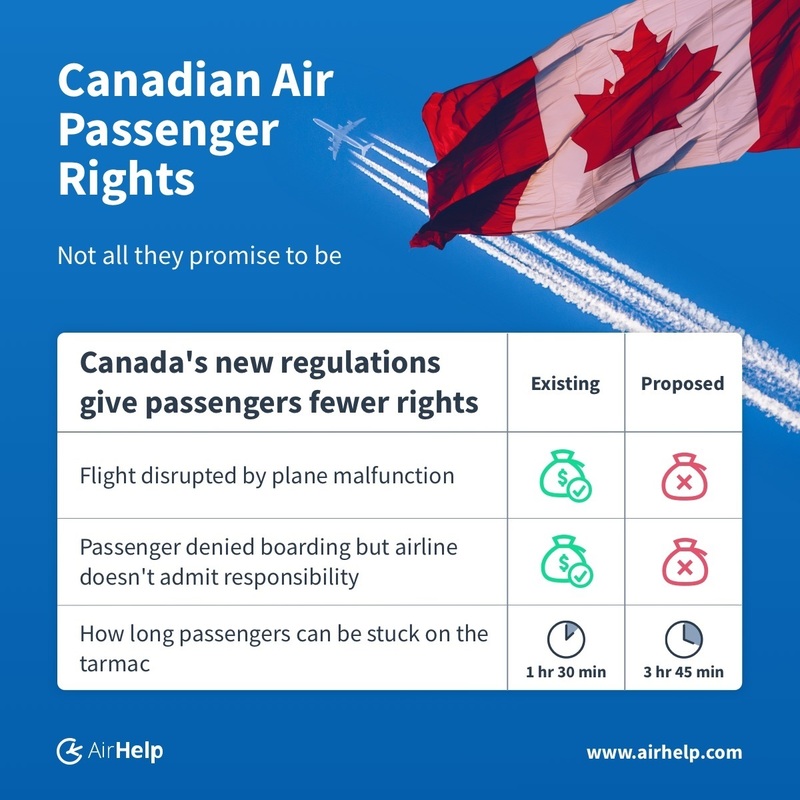 Plus, some cases, Canadian air travelers will be worse off under the new regulations than they are under existing law. AirHelp is so concerned by the security flaw in the new regulations that we’re gone straight to the highest authority, Prime Minister Justin Trudeau. We’ve written an open letter in which we ask him to ensure the regulations do not contain this critical safety issue. 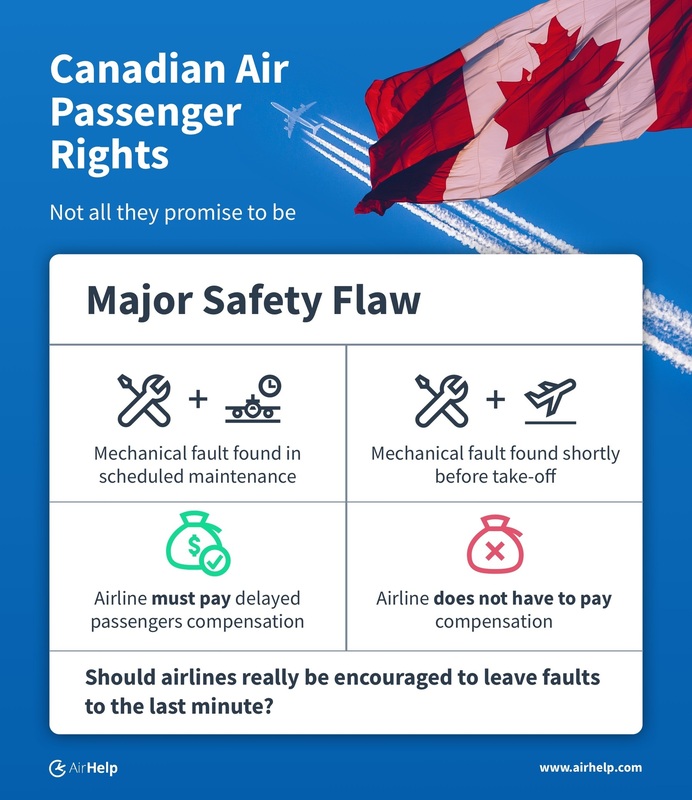 In addition, we have also addressed the wider issues with the regulation in a separate open letter to Canada’s Transport Minister, The Honourable Marc Garneau. The public consultation on the new regulations is still open. If you are as concerned by the flaws in the proposals as we are, please write to [email protected]tc-cta.gc.ca and tell them. You need to submit your feedback before February20th, 2019.